Calgary is a safe, clean and healthy city. In fact, Calgary was ranked the Cleanest City in the World by Huffington Post in 2013. And in a North American quality of living survey done by Mercer, Calgary also ranked the 16th highest city for personal safety and security. In Alberta, health care is completely free – you don’t even pay a monthly premium – while in terms of public safety, the city makes a significant investment in Calgary’s security and protective services (police, fire, bylaw and emergency medical services). If looking for a specific health, safety or social service, dial Health Link, at 811, in Calgary or visit the Inform Alberta website. For Calgary, the provincial department responsible for health care provision is Alberta Health Services, which takes care of some 1.3 million residents. It operates five large acute care hospitals in Calgary – Foothills, Rockyview, Peter Lougheed, South Health Campus and the Alberta Children’s Hospital (for patients 17 and under). All of Calgary’s acute care general hospitals provide 24-hour emergency care and operate as trauma centres for southern Alberta, southeast British Columbia and southwest Saskatchewan. There are other outstanding health care facilities and services in Calgary including the Tom Baker Cancer Centre, Sheldon M. Chumir Health Centre downtown, and literally dozens of care centres, community and continuing care sites, assisted living homes, nursing homes, and walk-in clinics. To find a full list of Calgary hospitals, other healthcare facilities and/or programs and services you can access Alberta Health Services call the Health Link at 1-866-408-5465. Looking for a family doctor? Patients in the Calgary area can find one at www.calgaryareadocs.com. This interactive website, listing more than 1,200 physicians, was developed by seven local Primary Care Networks and doctors in partnership with Alberta Health Services (AHS) to allow patients to search which physicians and clinics in Calgary, and surrounding communities, are accepting new patients. This service can also be accessed by calling Health Link at 811. 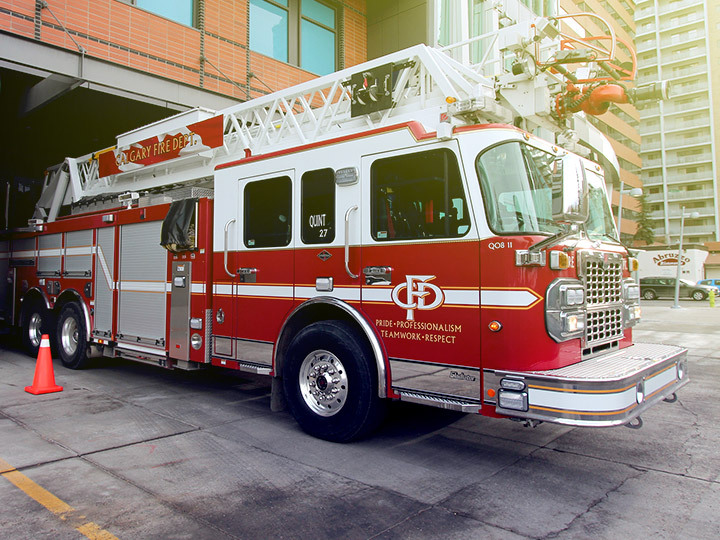 Creative Commons City of Calgary Fire Department by davebloggs007, Flickr. The city has made, and continues to make, a significant investment in personnel, equipment and technology for Calgary’s security and protective services (including fire, police, emergency medical services and STARS Air Ambulance). The emphasis on personal security shows. Calgary has been ranked as one of the top 35 cities in the world for overall quality of living and ranks 16th among North American cities for highest personal safety, according to the Mercer Quality of Living Survey, 2016.